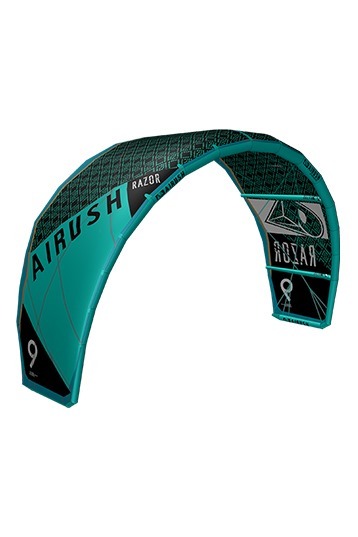 Kite review Airush Razor 2013 - Review now! The Razor is perfect for freestyle – I designed it to give freestyle/wakestyle riders quite a bit of options to choose from when riding. For everyday freestyle the best front line adjustment would be the blue pigtail. This will allow for a lot more range or depower in the kite. It’s pretty good setting for riders learning new tricks and letting go of the bar – you won’t get hammered as much! 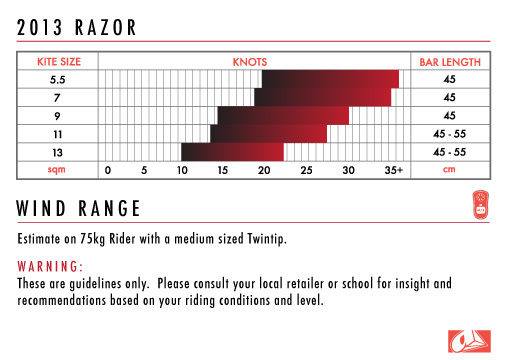 For wakestyle riders and people who want more pop, go for the red pigtail on the front lines. This will give you the most pop possible out of the Razor. The trade off will be the range of the kite will decrease – you will need to start using your board to control your speed instead! 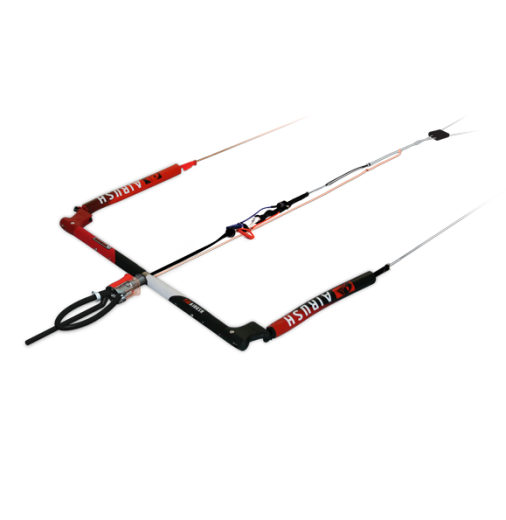 The back lines need to be adjusted accordingly to have the perfect balance when unhooking. I would suggest if you are riding it in the freestyle mode to drop the back lines down 1-2 knots. Depending on your speed preferences, bringing the back line closer to the front of the kite will slow it down – perfect for wakestyle, park and unhook tricks. For kiteloops or just fun freestyle – I would suggest the last two points for an extremely aggressive and maneuverable kite.